Britain’s economy grew faster than previously thought in the three months after the EU referendum, underlining the miscalculations by the Treasury and other forecasters who predicted that the UK would suffer a recession following a vote for Brexit. Official figures showed GDP growth in the third quarter rose by 0.6%, compared with initial estimates of 0.5%. The unexpected upgrade to GDP came as the Office for National Statistics made surprise revisions across all sectors of the economy. The services, industrial and construction sectors were all revised upwards. The services sector – which accounts for about 80% of economic activity – was the main driver of growth, led by transport and communications – including online retail deliveries – which expanded by 2.6%. The finance sector grew by 0.8% quarter on quarter. But the first two quarters of the year were revised down by one percentage point each. This left the annual growth rate at 2.2%, which was lower than the earlier estimate of 2.3%. 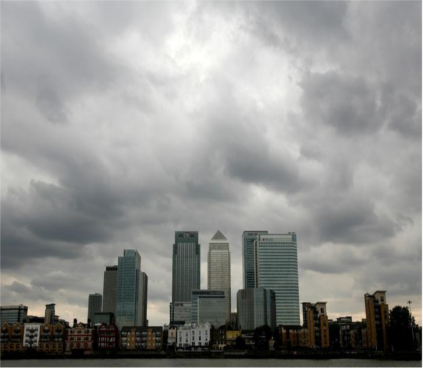 Analysts warned that the revised figures emphasised the UK’s lopsided recovery, with higher growth in the City and consumer spending while the manufacturing sector continued to decline, falling by 0.8% in the third quarter, and a sharp decline in net trade. Darren Morgan of the ONS agreed that most of the revisions stemmed from an improvement in consumer spending and better figures from the financial services sector. “Robust consumer demand continued to help the UK economy grow steadily in the third quarter of 2016. Growth was slightly stronger than first thought, though, due to greater output in the financial sector,” he said. In May, the then chancellor, George Osborne, claimed that Treasury forecasts showed that if voters backed an exit from the EU, the country could suffer a slowdown and technical recession, which is defined as two quarters of negative growth. “Does Britain really want this DIY recession? Because that’s what the evidence shows we’ll get if we vote to leave the EU,” he said. The International Monetary Fund and Organisation for Economic Co-operation and Development sounded similar warnings before the referendum. Chris Williamson, chief business economist at financial data business IHS Markit, said it was clear that the economy remained robust despite the vote to leave. “But to say that the economy has been unscathed by the Brexit vote would be too complacent,” he said. “The GDP data show that the construction sector has fallen into a technical recession, with output down 1.1% in the third quarter after a 0.1% decline in the three months to June. Industrial production and manufacturing fell 0.5% and 0.9% respectively in the third quarter. The upturn was therefore driven by services, where output rose 0.8%,. The ONS said wages jumped by 4.5% to their highest growth rate since 2013. But rising inflation and the impact of cuts to benefits meant disposable incomes shrank by more than the ONS said in its first estimate of third quarter GDP last month. Household disposable income, adjusted for inflation, decreased by 0.6%, which confirmed a dramatic turnaround from the increase of 3.6% in the same quarter last year. Net trade, or the balance between exports and imports, also slumped to -1.2% from +0.3% to register the biggest drag from the export sector on GDP since the second quarter of 2012.